What Is Caviar? Which Fish is it From? 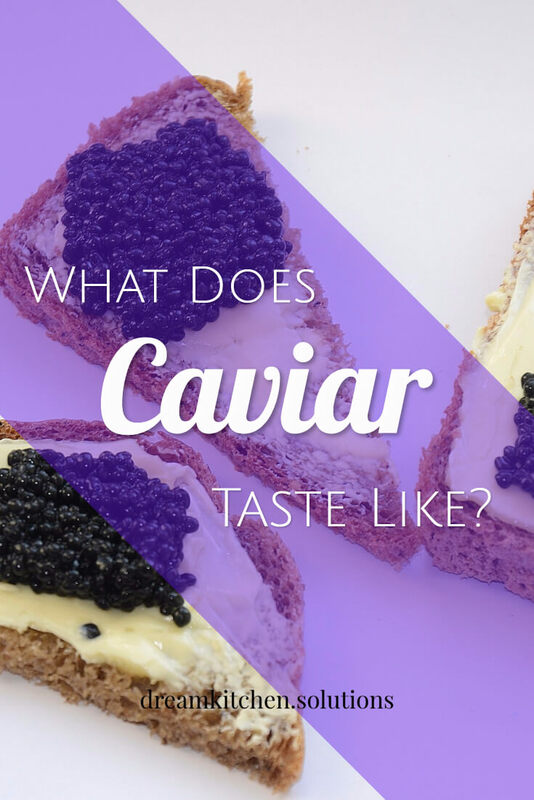 What does Caviar Taste Like? Does Caviar Need to be Refrigerated? Is it Safe to Eat? Is it Safe to Eat Caviar When Pregnant? Is Caviar Kosher? Vegetarian? Vegan? How Do You Prepare Caviar? Why is Caviar So Expensive? With the ability to make our mouths water and our wallets wince, caviar is one of the most premium foods in the world. We all know that the Queen and her corgis enjoy caviar on scones washed down with champagne every Sunday afternoon. But wait… is that caviar on your neighbor's baked potatoes? Indeed: caviar is making its way down the ranks to the general public. With prices ranging from rather reasonable to absolutely absurd, much of the population is wondering: what’s the fuss about? Let's learn all there is to know. Caviar is, quite simply, sturgeon eggs covered in salt. Sturgeon is a fairly large fish that lives in several parts of the world. Typically around sixty pounds, they can grow to reach several tons. These creatures are harvested (read: killed) for their eggs to make the edible delicacy. Sturgeons come in several varieties, all of which qualify as caviar producers. Beluga sturgeon produces some of the largest eggs. Its presence on the endangered species list makes its caviar more of an educational tool than a retail commodity. Though fish eggs, also called roe, are harvested from several other types of fish, sturgeon makes the only tried and true caviar. Sturgeon roe has been coveted since the nineteenth century, when adding salt to something in order to preserve it was a prominent curing method for all kinds of food. These fish move all the way from saltwater to freshwater for breeding and then back again, meaning that people who fish for them have to know their behavioral patterns in order to reap the profits. In the eighteen hundreds, all sturgeon was wild, meaning it was found in its natural habitat. In present day, sturgeon is commonly farmed in special tanks and facilities in order to prevent endangerment. Being able to mass produce sturgeon and in turn mass produce caviar makes the supply greater. Thus, prices are able to decrease depending on the particular type of caviar. As mentioned, caviar is made by curing fish roe with salt. This happens after straining the fat and membranes out of the substance. The Japanese originally figured out that this was a great way to keep food from going bad. They used the same technique with all sorts of meats and other perishables. Though the salt is an excellent starting point, refrigeration is also used today to keep caviar fresh. Many would agree that caviar seems to be an acquired taste. While the first bite may not present an overwhelming amount of appeal, the following few typically make it worthwhile. Caviar is salty and firm with some give. It is typically served at room temperature, after being removed from the refrigerator several minutes before. It maintains its iconic taste as long as it is served with something other than silver. Traditional implements were made of bone or mother of pearl. Silver oxidizes with the salt and the materials in the roe to produce a metallic taste, which should be avoided. Presuming you don’t have metallic-tasting caviar, the salty taste makes it popular to pair with foods like sour cream, crème-fraiche, and other buttery spreads. Caviar should indeed be refrigerated, as close to the freezer as possible without being in it. It last for about a month, unopened. In addition to being a symbol of status and luxury, caviar boasts several health benefits. Long ago, it was utilized as a remedy for people with mental health difficulties, like depression. Caviar’s enormously high concentration of omega threes makes it a superfood for the brain. Additionally, it was used to treat impotence. While there may or may not be any scientific rationale for the latter, its luxurious stature may have given the consumer a little added confidence. Is it Safe to Eat Caviar? It is safe to eat caviar, though there are a few special considerations if you are pregnant or nursing. If you are concerned about the way caviar may affect you, don’t hesitate to ask your doctor or a health professional. Caviar may be consumed when pregnant. However, there are several considerations to take into account. Firstly, non-pasteurized caviar may contain bacteria called listeria. While this will not harm a person normally, carrying a baby changes the equation and puts both mother and baby at some risk. Pasteurized caviar has no listeria whatsoever. Secondly, caviar contains traces of mercury, as do several other types of seafood. It contains the lowest amount possible, and the recommendation is to consume no more than six ounces per week while pregnant. Again, please refer to your doctor or a health professional for the most accurate advice. Caviar is considered an animal product; it is literally the eggs of sturgeon. Thus, it does not qualify as vegan. It does not contain meat, so some do consider it vegetarian. With that said, it depends how far your vegetarian lifestyle extends. If you refuse to wear leather because it means killing animals to produce, caviar is along the same lines. Sturgeons are killed in order to manufacture caviar. It may or may not fit into each person’s definition of vegetarian. Caviar is by no means kosher. The sturgeon fish is not kosher because of how its scales attach to its body, therefore, its eggs are not kosher either. There have been several substitutes made so that people who enjoy a kosher diet can indulge in something similar. Caviar packs a plethora of omega threes, vitamin B12, vitamin A, vitamin E, vitamin B6, iron, magnesium, and selenium. All of this translates to strengthening bones, teeth, and the immune system. As discussed, it may also benefit the brain due to its healthy fats. Many people enjoy caviar without a lot of extras. Often, it is served with plain toast, butter, and a little lemon juice. In Russia, it is enjoyed routinely with blinis, sour cream, and vodka. The actual preparation process is simply taking it out of the refrigerator several minutes before serving so that its room temperature rather than extremely cold. At its simplest, caviar is served on a (non-silver) spoon with a little champagne on the side. Alternatively, caviar is beginning to make its way into popular culture via a variety of more common dishes. People are beginning to top gourmet pizzas and pasta dishes with caviar. Believe it or not, it is even recommended on top of potato chips layered with sour cream. It is also suggested as a garnish for scrambled eggs and onion dip. Who would have thought that Superbowl Sunday would include sturgeon roe? Even baked potatoes get their day in the sun with a little sour cream and caviar garnish. We might be signing up to golf-clap for touchdowns this year. Caviar is made by harvesting sturgeon and inserting a tube to extract the roe. This substance is strained to remove membranes and everything else except the actual eggs. Then, the eggs are salted and packed. During the packing process, a purring sound is elicited from the eggs as they rub together. Once they are packaged, the tins are distributed to stores and businesses for sale. Caviar is a commodity mainly because there is only one type of fish that produces it. As more farming occurs, the number of types available increases and prices diversify. Rarer types are more expensive; more accessible types come down in price. Larger, lighter eggs are typically the most expensive, while smaller, darker eggs are more reasonable. Salt content also affects value. Caviar with less than five percent salt content is called malassol, and is considered the highest quality, while payusnaya includes ten percent salt content and is considered a step down. The price depends on the supply of female sturgeons and the demand for caviar. Truly, caviar is a delicacy. From historical context to taste to production process, it boasts an intricate story. Formerly considered only fit for royalty, caviar is making its way down the ranks into public households. Consider scouting it out in the grocery store to include at your next family function—Thanksgiving never felt so classy! Never try and force your kids to eat meat. Always support them and understand that it is entirely possible to eat a vegetarian diet while maintaining health and happiness. Here are 5 nutrient-dense superfoods from Africa. They have highly sought-after properties, are flexible, and steeped in African lore. What does cumin taste like? Is it the new superfood everyone seems to think it is? Everything you ever wanted to know about cumin is right here! What does pandan taste like? Is it the new superfood everyone seems to think it is? Everything you ever wanted to know about pandan is right here! Pumpkin is a great seasonal foodstuff for more than just spiced lattes and dessert pies. These two recipes show pumpkin is something for everyone! What does sushi taste like? Is it safe to eat sushi when pregnant? Everything you ever wanted to know about sushi is right here!